I bought two beautiful, huge, perfect for stuffing zucchini and I was super excited to use them. I went to get them out of the refrigerator and they were all mushy and rotten. I was so upset! I think I bought them perfectly ripe on Sunday and by thursday they were finished. I asked Cody to run to the grocery store to get some more zucchini and of course they only had tiny, not for stuffing zucchini. And with that, unstuffed zucchini was born. If you are following Trim Healthy Mama, this is an S.
Cook the sausage in a skillet, once its cooked drain the fat and add in the onion and cook til the onions are softened. 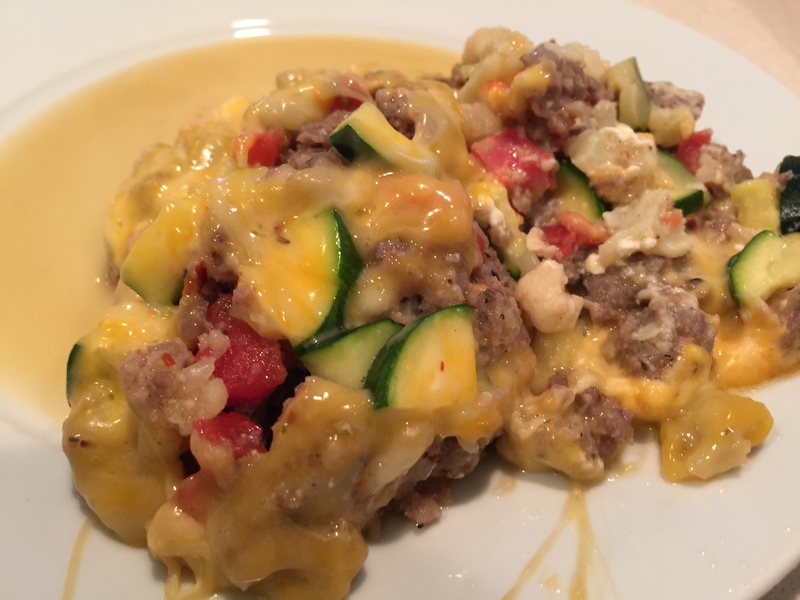 In a mixing bowl mix together the tomatoes, zucchini, cream cheese, cauliflower and seasonings, then add in the sausage mixture. Stir everything together and pour into a baking dish. Top with the cheddar cheese and cover with foil. Bake in a 350 degree oven for about 45 minutes, you want the zucchini to be soft when its finished. Serve with a side salad with creamy ranch dressing. I have absolutely loved my journey with Trim Healthy Mama, I have lost 33 pounds so far and I feel amazing. I have the energy to go to the gym every morning and still have plenty left in me to play with Easton the rest of the day. 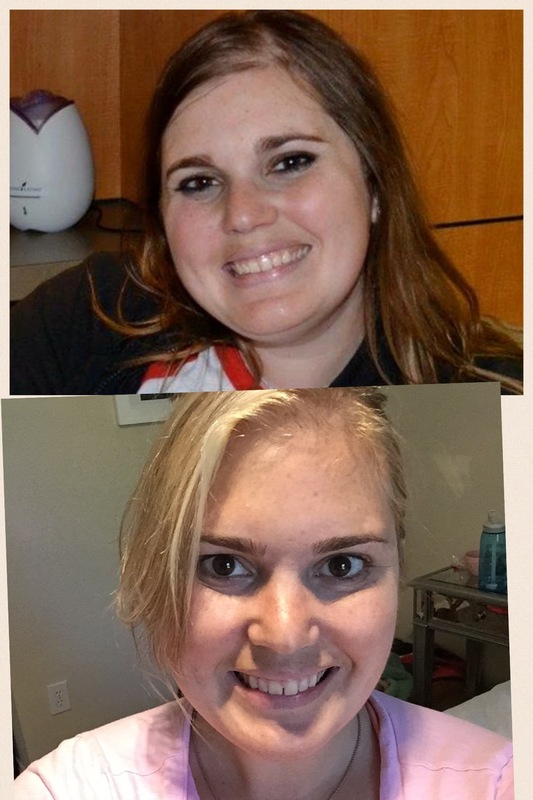 I was looking at pictures this morning and was so happy to see a difference in my face. The first picture is from right before Christmas and the bottom one is from this morning. Excuse the lack of make up, I took this at 7 this morning. If you are curious about Trim Healthy Mama please click here and my affiliated link will take you there. Remember, you are worth taking care of. You deserve to be healthy and feel great!